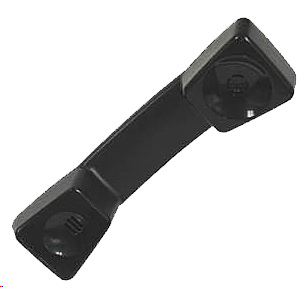 Partner 6 Button Phone provides four buttons for outside lines or programmable features Hold, Conference, Transfer, and two Intercom buttons. Partner 6 Button comes in the colors White, Black or Gray and also features 4 dual light line and programmable buttons. Feature Button used to access some features and to program the phone Message Waiting Light and also includes built-in two way speaker. The Avaya Partner Euro Style 6 telephone has a message waiting light so you can tell when you have a message in your voice mail. There is an extra port that allows you to connect other standard devices. 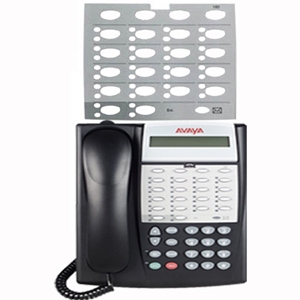 This Avaya Partner 6 telephone works with all release of the Avaya Partner Euro Style telephone system family . The Partner 6 can also work with the Avaya Merlin Magix phone system if you use a Merlin Magix ETR Avaya telephone module. NOTE: Any cordless telephone can access all CO's when attached to the analog jack. 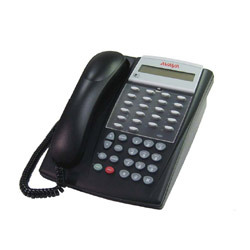 Lucent Partner 18 Button Display Phone Partner 18 Button Display Phone provides 16 programmable line/feature buttons with lights and an Auxiliary Port for quick connection of peripheral equipment such as fax or answering machines . The 16-character backlit display provides Easy-to-read lines and numbers. Partner 18 display telephone also has a built-in speakerphone and microphone for hands-free calling. NOTE: Any cordless telephone can access all CO's when attached to the analog jack. Can display incoming caller's telephone number on PARTNER II Systems when equipped with EC Modules or on PARTNER ACS and Endeavor Systems. Also provides caller ID storage for past 200 calls. Caller ID service provided by your local service provider. As a receptionist phone the Lucent Partner 34d phone gives the ability to see almost everyone's extension. If speed dialing is a key for you and your phone needs alot of one touch buttons. The Partner 34 Button Display Phone provides 32 lighted programmable buttons with Hold, Transfer, and two Intercom buttons. The Avaya Lucent Partner 34D telephone is a perfect match for your needs. NOTE: Any cordless telephone can access all CO's when attached to the analog jack. Can display incoming caller's telephone number on PARTNER II Systems when equipped with EC Modules or on PARTNER Endeavor Systems. Caller ID service provided by your local service provider.